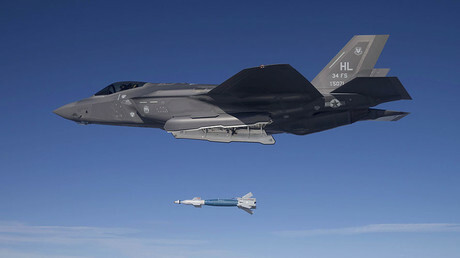 At least 12 civilians have reportedly been killed after US coalition jets struck a number of targets in a village next to the Syrian-Iraqi border, eyewitnesses on the ground told SANA news. According to the report, the US-led anti-Islamic State (IS, formerly ISIS/ISIL) coalition has launched a series of air raids on Sunday night in Syrian Hasakah governorate. In one of the strikes, the jets struck Tel Hayr village near the Syrian-Iraqi border, killing 12 people, all belonging to one family, according to the Syrian SANA news agency’s sources. Last week, the UN Commission of Inquiry on Syria revealed that more than 300 civilians have died because of US-led air strikes in and around the city of Raqqa alone since March. “We have documented the deaths caused by the coalition air strikes only and we have about 300 deaths, 200 in one place, in al-Mansoura, one village,” said Karen Abuzayd, an American commissioner on the panel. Meanwhile, the UN Commission added that over 160,000 were forced to flee their homes. The US-led coalition has repeatedly been accused of bombing civilian targets in Syria, mainly in the Raqqa and Deir ez-Zor Governorates, where Washington is actively supporting the Syrian Democratic Forces. In one instance, at least 35 civilians were killed by US-led airstrikes in Deir-ez-Zor province in late May, when bombs hit the market and a four-story building in the city of Mayadeen. In early June, in its latest assessment of civilian casualties, the Pentagon admitted that “at least 484 civilians have been unintentionally killed by Coalition strikes since the start of Operation Inherent Resolve,” in both Iraq and Syria. The official number, however, seems much lower than the death tolls estimated by human rights organizations and monitoring groups, which have noticed an increase in the US strikes in Syria in May. “Likely civilian fatalities from Coalition airstrikes in Syria rose by 30 percent in May, amid rising concern from international agencies and human rights groups at the rising toll. Throughout the month, Airwars researchers tracked 118 claimed Coalition casualty events in Syria alone,” UK-based journalist-led transparency project Airwars said last week. 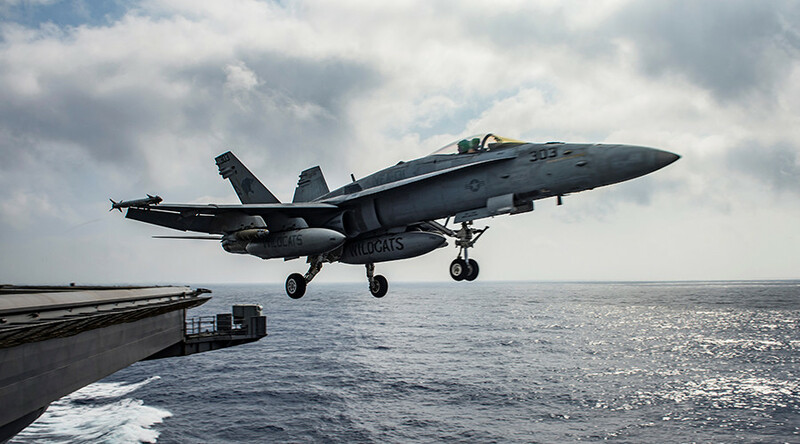 Reports of the latest strike follow the shooting down of a Syrian SU-22 warplane by a US F/A-18E Super Hornet on Sunday in the countryside around Raqqa. Moscow condemned the US-led coalition’s attack on the Syrian government military jet as an act of aggression and accused Washington of aiding terrorists. The Russian Defense Ministry also halted cooperation with its US counterparts in the framework of the Memorandum on the Prevention of Incidents and Ensuring Air Safety in Syria following the attack on the Syrian plane.